Granville is a nine-year veteran under the Pennsylvania Army National Guard, and lost part of his leg in the summer of 2008 when his vehicle was hit by a roadside bomb in Afghanistan. Two of his friends died as a result of the blast, and two and a half years later, his twin brother, who also served in the army, took his own life.”My downward spiral happened after that,” Granville said. “A lot of hardships I faced, a lot of things I was doing. It was just very unhealthy choices I was making.”He picked up an active lifestyle to pick himself up from the rut and competed in multiple marathons, including Boston, Chicago, Detroit and New York using a hand-bike. 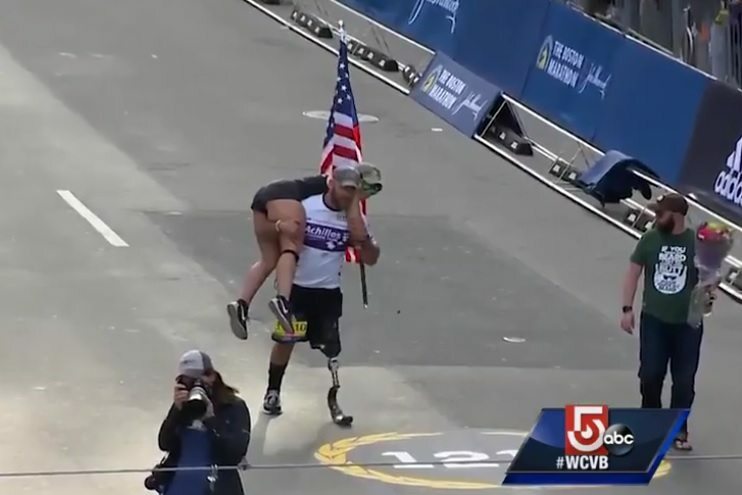 Last year, his third time cycling the Boston Marathon, he finished just ahead of bombing survivor Marc Fucarile.